Perhaps you are wondering about the detail of information that Global Discovery could provide you with? ......the maps below indicate what type of maps and information you would receive. In addition to this you would get a guide to the depth counts and quantity of oil recoverable from the field. 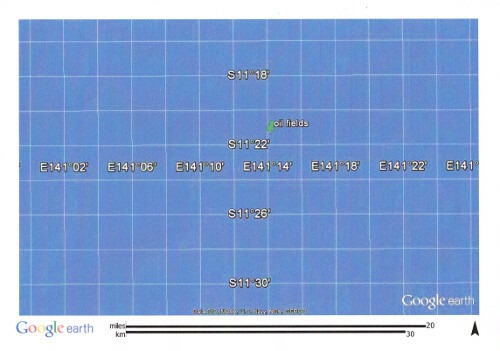 Further enlargements will take place on each of the fields then a final report would be given to the client covering depth, quantity and quality including gravity weight of oil. Remote surveying can be done from my base in the UK to discover anomalies within the area and I can cover many parts of the world as I have already shown and proven. On Site surveying can be done on mainland and at sea. The advantages of using my technique and surveying will save a considerable amount of costs because I would be able to indicate which licensed area would be holding hydrocarbons so that the client does not waste time and money on a licensed area which may not have any hydrocarbons or anomalies on it. My method as a consultant and advisor and doing the work on site and remotely helps and at the moment is being used in Kansas USA and is proving to be successful which means a very happy client. green marker indicating oil fields. 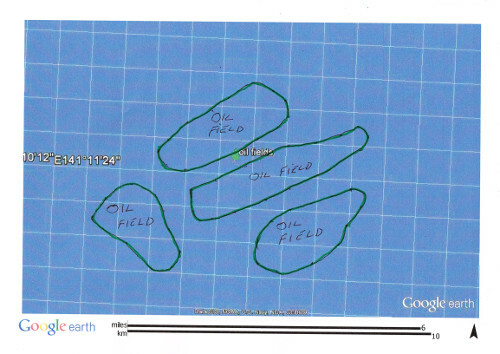 This is an example of how I locate an oil field on mainland UK. This map gives you the co-ordinates in question of the area that the oil company I helped who confirmed that my findings for oil was correct from this map and co-ordinates that I gave to them and that it was financially feasible. Because of red tape the company decided not to go ahead with this location and they decided to put all their resources into the West of Shetlands where again I helped them to locate potential oil fields to which end they have become successful. But this is only the start of the information you would have access to upon commissioning Peter. The maps provided to you would be in much greater detail going in depth into fractures and faults, zooming in on maps to show fracture, depths and shatter zones. 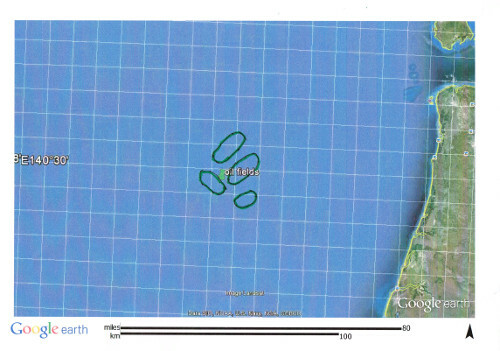 These maps are based on an area that Peter surveyed for his own interest and thought to be as yet unclaimed by any oil company.